The first step to building an amazing app is to ask yourself, “Why would you want to make one?”. Whether you want to join the wave of entrepreneurs investing in app development or you have stumbled on a problem and you have a great idea to resolve it, learning how your product can make life better for consumers should be at the core of your journey to developing an app. This will help determine whether your app will be successful. Once you get that sorted out, you are ready to build your first app. Problems are everywhere—at home, at work, on the road, in your car—they are everywhere. The easiest problem to resolve is the one you relate to the most. If there is one thing that would make things more convenient for you, what would it be? Successful entrepreneurs solve problems in the most creative ways. Every product you can find in the market is specifically designed to solve a problem. Cars are made to make transportation easier and faster. Aeroplanes are invented to make travel possible from continent to continent. Smartphones make communication possible whenever and wherever you are. Look for problems in your daily life and list each one of them. Think of ways you can resolve them and shortlist the ones that made sense the most. #2 Is there a Demand? What’s the point of developing an app when there’s no demand for it? Validate your idea by looking into Google’s Keyword Planner tool and see if there are people seeking out what you’re trying to do. This helps narrow down your options. Find out how many are searching for solutions to the same problems you’ve listed down and which are the most popular apps on the market for it. Identify which apps are directly competing with your idea. We’ve written a post on what your competitors can teach you about app development so you can have an idea of what features to improve upon on your own app. Check on your competitors. What are the users saying about them? List down their advantages and disadvantages and avoid doing the same mistakes. 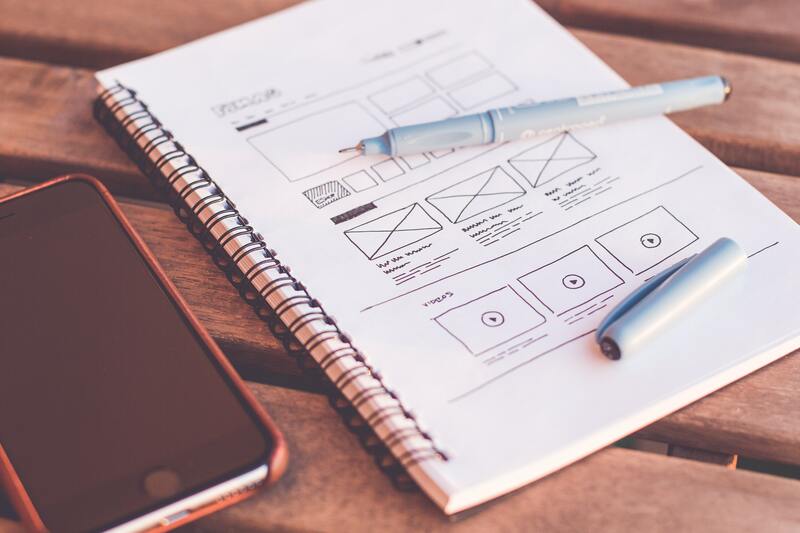 Create a wireframe for your app. You can use these tools to create a wireframe. Define how users can navigate through your app, its features and everything you want to include. Draw a sketch of your servers, APIs, and data diagrams. This will serve as a reference for the developer. And if you plan to get more people involved in the project, you already have a self-explanatory diagram for them to study on hand. Get as detailed as possible. This also helps your app development team get a picture of your vision and your expectations. Your app doesn’t need to have every little feature that you think is “nice to have”. From your flow and features document, look out for features that you can remove. Add these later as an update. Not only does this keep the costs down, it also helps your app get to the market quicker. Offer the core value of your app. Is your app exclusive to iOs or Android? Or would you want to launch in multiple platforms? Define the platform you want to use and coordinate that with your app development team. Get familiar with the restrictions for each platform and list down possible compatibility issues for devices. Planning thoroughly can help your team move past roadblocks and avoid more costs and expenses. Ask friends, family, colleagues, and other experts to review your app’s prototype. Give your app a test run. Encourage them to be as honest as they can so you can identify flaws and dead-end links. If possible, invite them to your studio and have them try out the prototype in front of you. Monitor how they use the app. Note down their actions and adapt your UI/UX to them. You want your app concept concretised before it goes into design. It is harder to change things around once you start laying out the design. The clearer the prototype to begin with, the better. Design is not just about how your app looks. It’s how users experience the app. Make sure your development team prioritise user experience and graphics first. If you don’t want to stress yourself to finding individual contractors to build your app, hiring an app development company would be your best option. Look for those with great design talent and a solid web app development team. Check their credibility, the apps they’ve created, and the companies they’ve worked with. You might also want to read on what these developers won’t tell you during the app development process before you negotiating the price of their service. The best way to track down your app’s downloads, user engagement and retention is through analytics. Great tools for apps are Flurry (free) and Localytics (has a free and paid version). Your first set of customers’ usage and behaviour will provide you with insights on how to develop and improve your product. Enhancements and changes are constant. Keep eye on reviews and keep building. There are plenty of ways to get you started in app development. Check out this article about the common problems you’ll face when developing an app. Don’t forget to contact the team for help. We’d love to listen to you!